IN 1221 St. Francis held a general chapter at Assisi; when the others dispersed, there lingered behind, unknown and neglected, a poor Portuguese friar, resolved to ask for and to refuse nothing. Nine months later, Fra Antonio rose under obedience to preach to the religious assembled at Forli, when, as the discourse proceeded, “the Hammer of Heretics,” “the Ark of the Testament,” “the eldest son of St. Francis,” stood revealed in all his sanctity, learning, and eloquence before his rapt and astonished brethren. Devoted from earliest youth to prayer and study among the Canons Regular, Ferdinand de Bulloens, as his name was in the world, had been stirred, by the spirit and example of the first five Franciscan martyrs, to put on their habit and preach the Faith to the Moors in Africa. Denied a martyr’s palm, and enfeebled by sickness, at the age of twenty-seven he was taking silent but merciless revenge upon himself in the humblest offices of his community. From this obscurity he was now called forth, and for nine years France, Italy, and Sicily heard his voice, saw his miracles, and men’s hearts turned to God. One night, when St. Antony was staying with a friend in the city of Padua, his host saw brilliant rays streaming under the door of the Saint’s room, and on looking through the keyhole he beheld a little Child of marvellous beauty standing upon a book which lay open upon the table, and clinging with both arms round Antony’s neck. With an ineffable sweetness he watched the tender caresses of the Saint and his wondrous Visitor. At last the Child vanished, and Fra Antonio, opening the door, charged his friend, by the love of Him Whom he had seen, to “tell the vision to no man” as long as he was alive. Suddenly, in 1231, our Saint’s brief apostolate was closed, and the voices of children were heard crying along the streets of Padua, “Our father, St. Antony, is dead.” The following year, the church-bells of Lisbon rang without ringers, while at Rome one of its sons was inscribed among the Saints of God. Reflection.—Let us love to pray and labor unseen, and cherish in the secret of our hearts the graces of God and the growth of our immortal souls. 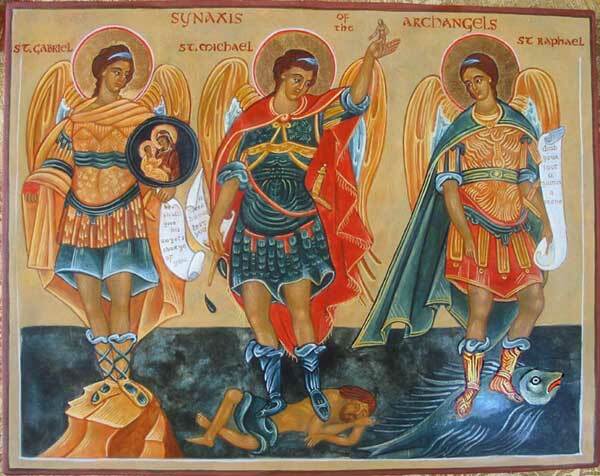 Like St. Antony, let us attend to this, and leave the rest to God. 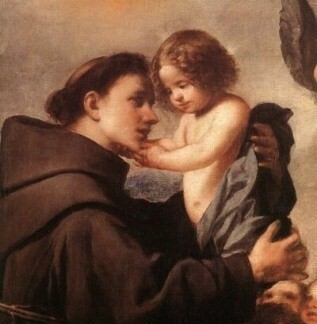 St. Anthony pray for us and that Our Lord sends us holy priests like yourself.